On Time. In Budget. Every Time. Scott Build is the Master Builder. Scott Build creates a positive change in the construction industry through operational integrity, open, honest and direct communication, and adherence to industry leading safety standards, while inspiring the highest degree of personal ethics for every project undertaken, fostering an environment of client satisfaction, individual growth, and fun. At each step of every project, Scott Build is committed to two things: honesty and integrity. These values drive every element of your project, from accurate cost estimates and innovative design to quality construction and on-time completion. By taking the time to listen to you and your needs, desires, and potential challenges, we’ll earn your respect and save you money without sacrificing integrity and the functional operation of your facility. Scott is the Master Builder. Every member of the Scott team is a superior listener and creative problem solver. Together, we have more than 150 years of experience in the construction industry. Our goal is to have a collaborative, no-nonsense working relationship with you so we can provide you a superior facility that’s in budget and completed 20 to 25 percent faster than you can expect from our competitors. Rick Scott founded Scott Build in 1997 to bring the highest level of honesty and integrity to general contracting. His ultimate goal: create positive change within the construction industry. Rick spent his entire career in construction and earned a reputation for finding creative solutions for any project. Today, Scott Build provides optimal design-build commercial construction services to private and public organizations throughout the Midwest. Mandy believes many places and companies could benefit highly from partnering with the morals, ethics, and business plan of Scott Build. She has worked with Scott for more than a decade, wearing various hats at the company. She started out as an intern and continued her internship each summer and on breaks during college. She is excited to grow the business into Southeastern Minnesota and Wisconsin. Mandy studied marketing at Winona State University. She is a mom blessed with a beautiful daughter and baby boy. In her free time, Mandy enjoys traveling, reading, shooting sporting clays, playing sous chef to her husband’s cooking, and hunting with her dad and yellow lab Shooter. 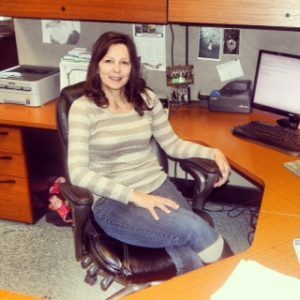 Jean is the office manager and assistant project manager at Scott Build. Jean has been involved with Scott Build since the very beginning. Her vision for the success of Scott Build is for all correspondence in the office to be answered promptly and personally. Scott always has a real person answering the phone during office hours. Jean has made it a priority that Scott Build communicates clearly with our customers, subcontractors, and with each other in the office. She and Rick have been married for more than 30 years. They have two daughters, three grandchildren, and three dogs. In her free time, Jean likes to go on road trips with her family, snowshoe at their ranch, and take her dogs on walks. When Jean and Rick retire, she would love to have a winter home somewhere by the ocean. Contact the Scott team today to get started on your project and experience the difference with Scott, the Master Builder. More than 20 years of delivering projects on-time and in-budget makes us the Master Builder.